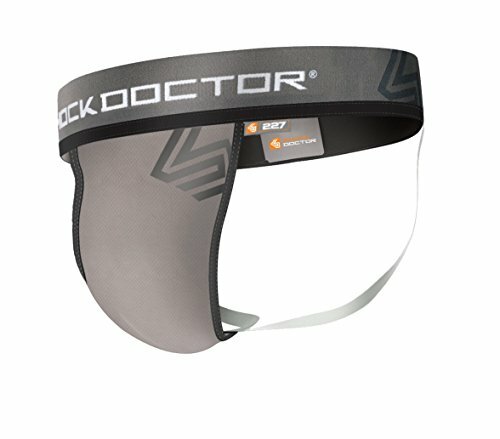 Shock Doctor jockstraps offer the utmost comfort and support for even the most ferocious of athletes. 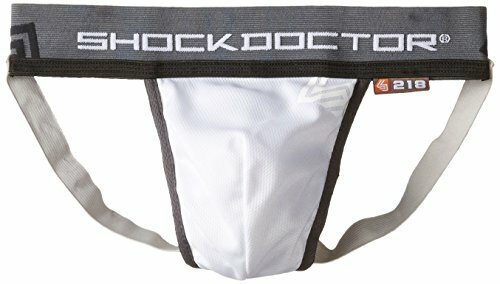 The Shock Doctor Jock features a breathable vented mesh pouch, allowing for optimal airflow. It is constructed with supportive four-way stretch material and a forgivably-sturdy comfort waistband that ensures the perfect fit. 100% Polyester. Hand or machine wash warm with similar colors. Do not dry clean, do not bleach. Drip dry. The Ultimate Support System with cup pocket. 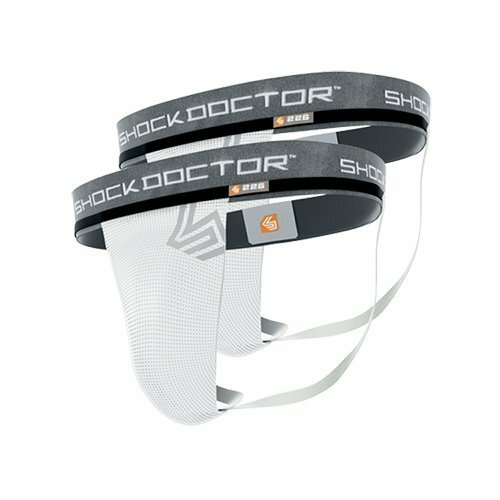 Find your perfect and comfortable Core Supporter with Cup Pocket offers all the support you need for any athletic activity. Designed with moisture wicking four-way stretch fabric that moves with your body while eliminating sweat. The mesh cup pocket secures the cup and increases ventilation to improve cooling. The comfort waistband allows you to play without irritation. Created with breathable, four-way stretch mesh, the core supporter achieves the perfect fit. 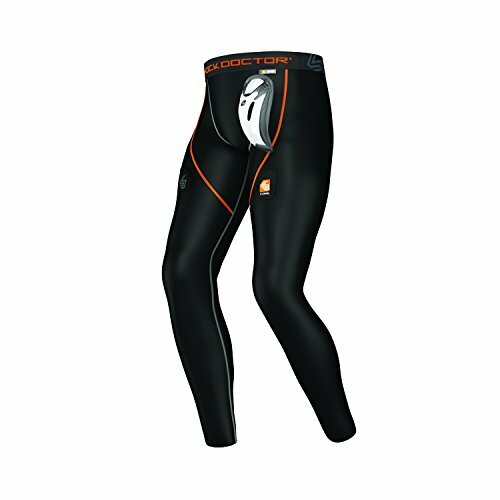 The comfort waistband allows you to play without irritation. 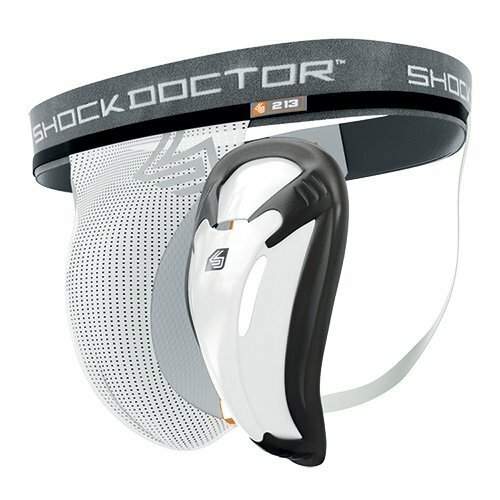 The Shock Doctor bio flex cup, a vented bio-shape cup designed to shield areas where protection is most crucial. 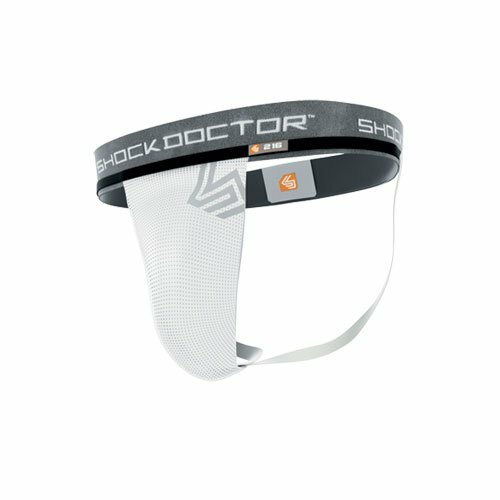 The body of this core protective cup forms flawlessly to your athletic frame to provide unrestricted movement, Airflow and comfort. The core supporter with soft cup offers comfort for any athlete seeking support with light padding. Constructed with supportive four-way stretch mesh, cup retention straps. The Ultimate Support System. Find your perfect fit in the Core Supporter without Cup Pocket. This four-way stretch fabric with vented mesh panel secures your protective gear and maximizes airflow while you continue to perform comfortably. Core Compression Short with Bioflex Cup are a compression short with a ventilated inside cup pocket, comfort fit waistband and Velcro tabs to secure socks in place. 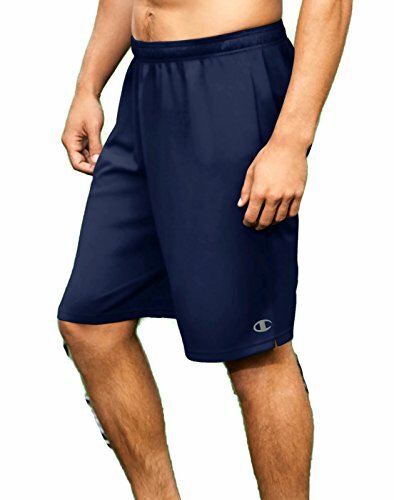 They are constructed with supportive four-way stretch fabric that wicks moisture away from the skin and the X-Fit Retention system that integrates a wraparound external X-Fit supporter sewn directly into the garment, providing a closer, more comfortable fit than any standard athletic short on the market. 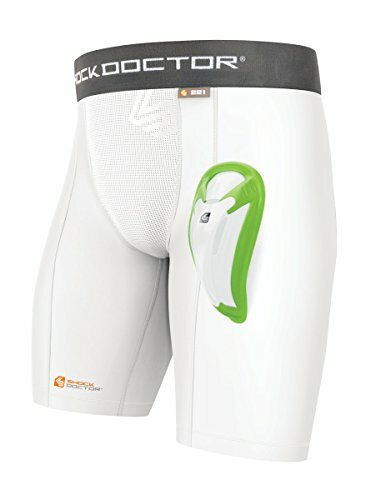 The Bioflex cup is unique, vented body with integrated gel perimeter pad for unrestricted movement and improved comfort. Core Brief with Bioflex Cup are available in youth size for the best fit in a jock for a young athlete. Bioflex cup unique, vented bio-shape body with integrated gel perimeter pad for unrestricted movement and improved comfort. Core Brief is constructed with supportive four-way stretch material and comfort waistband for a perfect fit. Cup pocket allows easy cup removal for washing. The Core Hockey Pant with BioFlex Cup is designed for the athlete who needs technically-based performance and comfort, while utilizing the BioFlex Cup, full length compression throughout, Core Flex Pocket design and moisture-wicking fabrics. Looking for more Core Supporter similar ideas? Try to explore these searches: Platform Heeled Sandals, Sublime Band, and Medium Scooter. Look at latest related video about Core Supporter. Shopwizion.com is the smartest way for online shopping: compare prices of leading online shops for best deals around the web. Don't miss TOP Core Supporter deals, updated daily.